GXL/XLPE (-60 F°- 275 F°) Heat Resistant Wiring. Circuit labeled. GM color coded. Horn relay, floor dimmer and courtesy light connections. Standard brake light connections with third brake light. 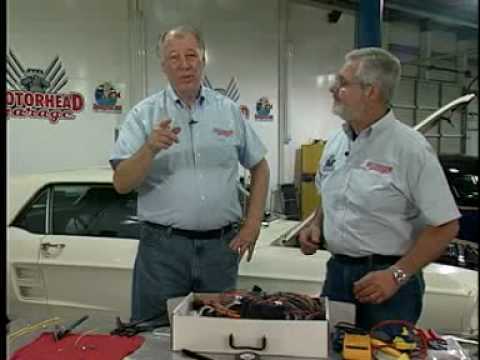 Complete engine compartment wiring for lighting and engine management. Complete instrument cluster wiring for electric gauges. Complete rear body wiring for lighting and fuel tank. Alternator leads for one wire and GM internally regulated ”SI series” alternators. Long ignition, accessory, and battery leads for the ignition switch. A separate alternator exciter lead wire is wired in. Headlight and floor dimmer switches. Connectors for GM column mounted ignition switches and HEI distributors.